Come join us November 1st and hone your skills for this year’s problem solving season. AMC 8 is this month, making it a great time to delve into various interesting problems. Combinatorics, Number Theory, Geometry, and Algebra problems will be presented with multiple difficulty levels to challenge and delight our math circle patrons. Whether you are new to problem solving or looking for some additional challenges, this is a great circle for working with peers and under the instruction of Dr. Titu Andreescu, who has been coaching and educating mathletes for over 30 years. In this talk we discuss a new geometric characterization of the so called Napoleon n-gons characterized by the property that the centers of the regular n-gons erected outwardly on its sides are vertices of a regular n-gon. As a consequence, we obtain a new proof of the well-known theorem of Barlotti-Greber that an n-gon is Napoleon if and only if it is affine-regular. Moreover, we generalize this theorem by obtaining an analytic characterization of the n-gons leading to a regular n-gon after iterating the above construction k times. 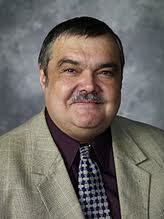 Prof. V. Georgiev, University of Pisa, Italy accepted for publication in American Mathematical Monthly. Later in the session, you will learn more about the High School Students Institut of Mathematics and Informatics established in 2000 by the Union of Bulgarian Mathematicians on the occasion of the World Year of Mathematics. It’s easy to generate large numbers for their own sake. A more interesting question is whether huge numbers ever arise naturally from simple-looking situations. In this talk, we will explore two examples of this phenomenon. The first will be a surprise from the International Mathematical Olympiad. The second concerns Szemeredi’s Regularity Lemma, a result of central significance in graph theory. This talk will be accessible to a general audience. Only understanding of arithmetic is required: addition, subtraction, multiplication, division, and exponentiation. Nevertheless, only about 50 (out of 500+) International Math Olympiad contestants correctly solved the corresponding problem during the IMO contest, and so the talk will be of interest to students spanning the full range of experience. As a math professor at Carnegie Mellon University, Po-Shen Lo conducts research on a variety of topics that lie at the intersection of combinatorics (the study of discrete systems), probability theory, and computer science. 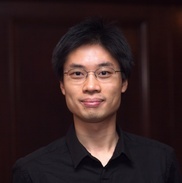 Po-Shen also works to connect the worlds of research and school math, as the national lead coach of the USA International Math Olympiad team. He was a member of the 1999 USA IMO team, which was led by Titu Andreescu. To further develop the talent base in the USA (and the world), he recently teamed up with a number of math/science contest stars to create an open web platform (expii.com), which empowers the world to collaboratively create interactive expositions on math and science topics. Come join us this Saturday for a fun session of AMC 8 level problems and beyond. November 18, 2014 (Tuesday) is the AMC 8 test, so come study with Dr. Titu Andreescu, former director of the American Mathematics Competition for 5 years, former coach of the US IMO team, and of course, the director of Metroplex Math Circle and AwesomeMath. If you have a child who would like to participate in the AMC 8 tests, but his/her school does not offer the opportunity, you can register with Kathy Cordeiro after math circle ($10 registration fee). Remember, we are now meeting in room 2.312 of the ECSS building.